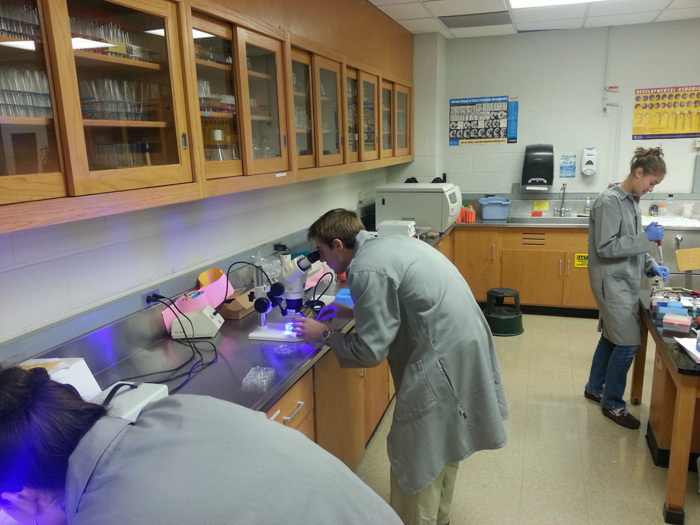 The Stereo Microscope Fluorescence Adapter (SFA) is a great way to use fluorescence in education. As soon as we introduced the SFA we had researchers saying ‘Now I can use fluorescence in my classes!‘. Fluorescent transgenic animals are a great way to teach genetics, development, and other concepts, but without a way to visualize them you can’t take advantage of this. The biggest barriers to using fluorescence have been the cost and complexity of fluorescence microscopes. You are just not going to turn a group of inexperienced undergraduates loose on your $25k or more lab research system. 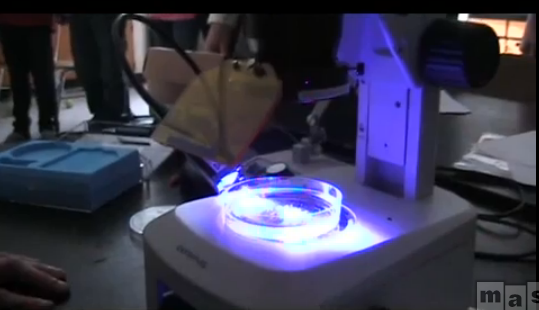 The NIGHTSEA SFA lets you put your existing stereo microscopes to use for fluorescence. More and more universities are adopting this, with quantities ranging from 2 to 30. Download a pdf with several case studies. A 2017 paper in the Journal of Microbiology & Biology Education describes the use of the SFA in a laboratory sequence that enables students to explore the effect that random mutagenesis can have on protein function, expression, and ultimately phenotype. This is part of an undergraduate Genetics course (300-level course for sophomore, junior, and senior biology, biochemistry, and marine biology majors). See our article for more information. The SFA is also easy to take on the road for outreach. Dr. Michael Barresi of Smith College is teaching genetics in middle schools using fluorescent zebrafish and the NIGHTSEA fluorescence adapter.